When I was a young child, fishkeeping began for me through my brother. 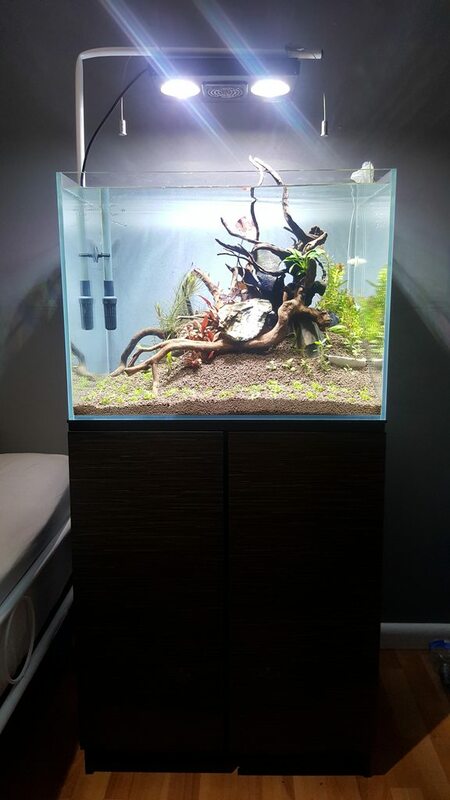 He had set up a small freshwater tank with a single Anubias Nana plant on a beautiful piece of driftwood. The tank was stocked with Red Cherry Shrimp. I found it delightful to observe the little critters munching away on cucumbers and algae. One day however the tank was smashed in an accident and the shrimp all died. 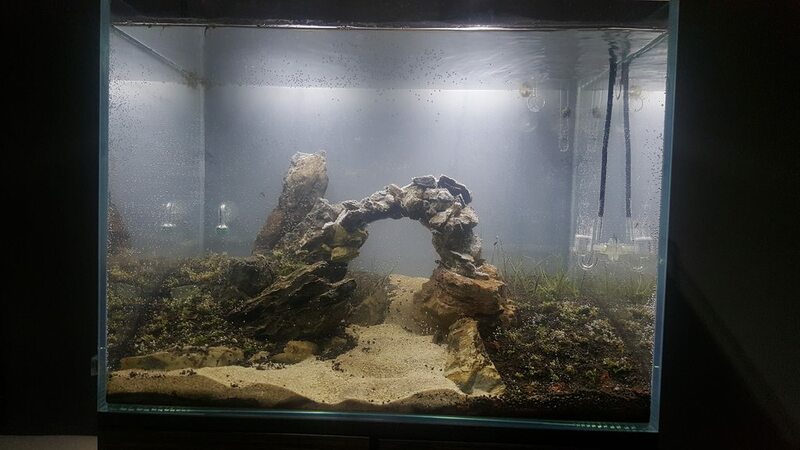 A few years later, I stumble upon aquascaping. After a night of binge watching The Green Machine videos, I decided to give it a go. A cousin and the brother had given up on the hobby so I inherited all the equipment I needed to get me started. A couple of friends also had some leftover supplies. 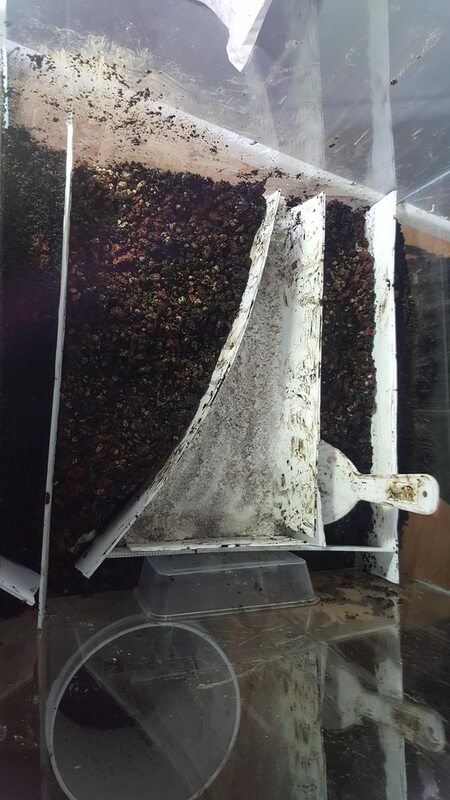 With no plans in mind besides the fact that I wanted a stone to be partially emersed, I proceeded to bank scoria ontop of some leftover ADA power sand and a mixture of ADA powders in a 45cm cube. 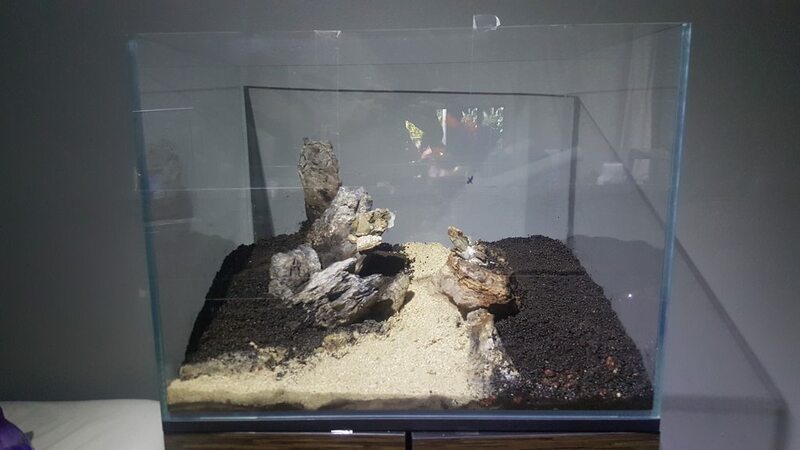 I then added an assortment of stones, a piece of driftwood, aqua soil and sand. 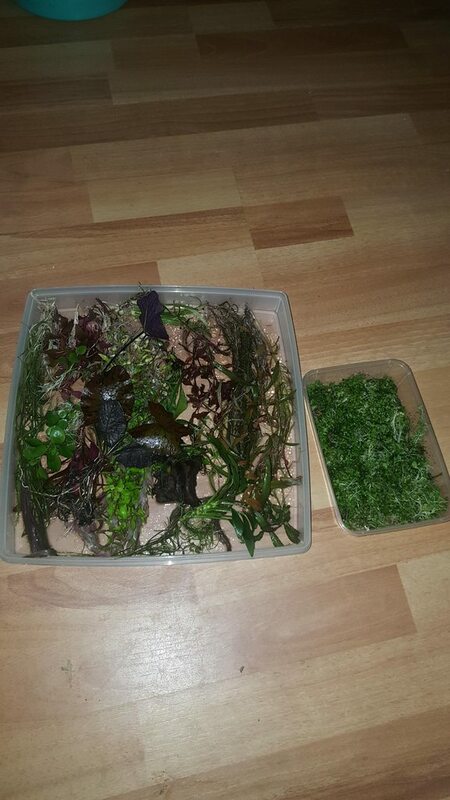 Although I couldn't pull of an emersed stone with what I had, I was pleased with the arrangement so I left it as is. 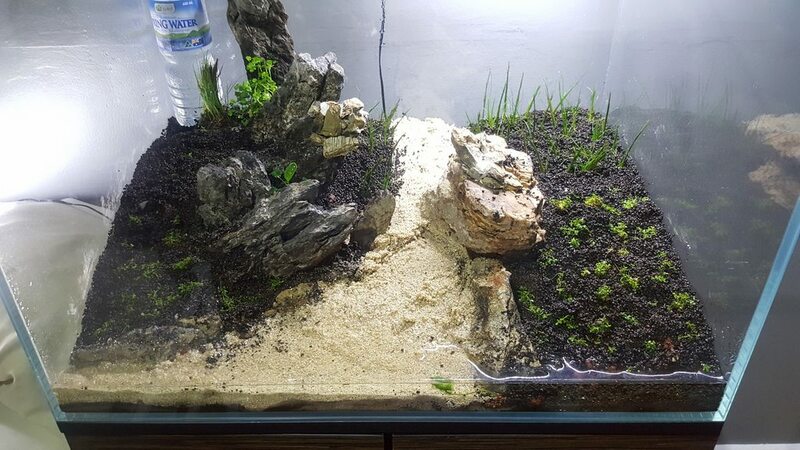 After half a week of staring at my scape, a lot of things started to bug me so I decided to restart. This time around, I browsed the web for inspiration and devised a plan. Firstly, I decided on the livestock. I definitely wanted to keep shrimp again and the Taiwan Bees had caught my eye. Especially the Shadow Pandas. Ottocinclus, Threadfin Rainbowfish and Spotted Blue-eyes also had me interested, but I have not yet looked into compatibility. 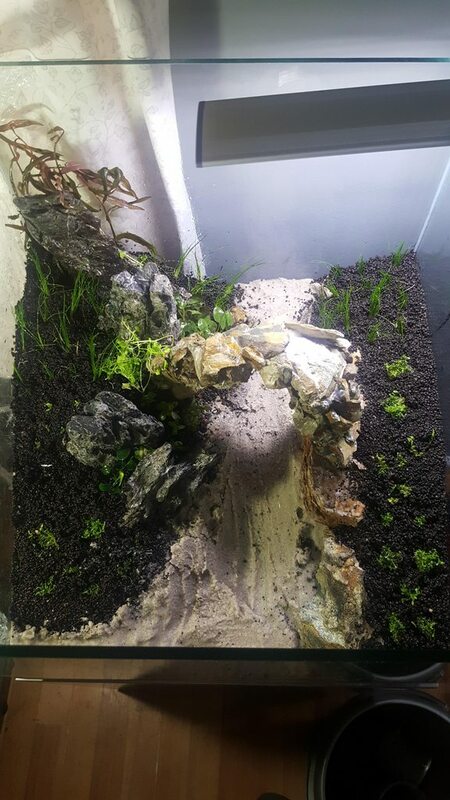 For the aquascape itself, two rocky cliffs hills linked with a rock bridge ontop of a sand river. In regards to plants I have only decided on lawns of Dwarf Baby Tears for the foreground and a lawn of Dwarf Hairgrass. Being on a tight budget, I had to use what I had. Therefore there were some different shades of rocks. I started by outlining the different areas with Corflute, which will also help keep the substrates from combining or collapsing. I recycled the Scoria and Powersand mix from the previous setup to build height. 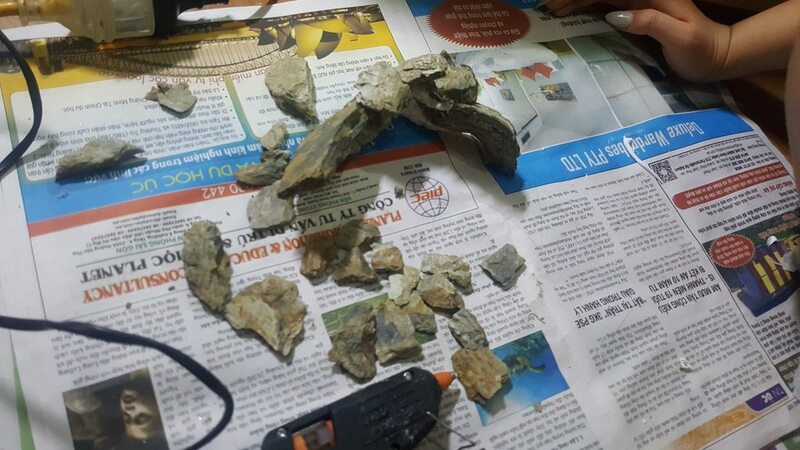 I smashed a stone up into smaller pieces and stuck them together to construct an arc. Arranged some stones and added some extra soil I found on sale. Corflute dividers to keep substrate from collapsing and also to keep plants from intertwining. 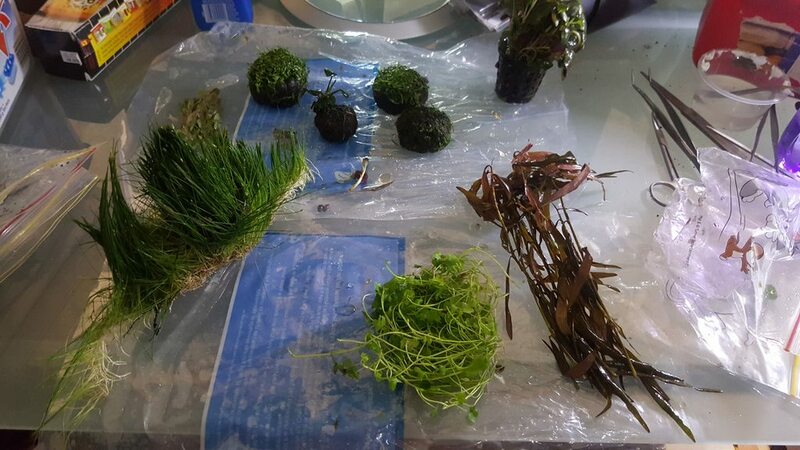 The order came in with double the amount of Dwarf Baby Tears and triple the amount of Dwarf Hairgrass. Very happy! I proceeded to separating and planting. 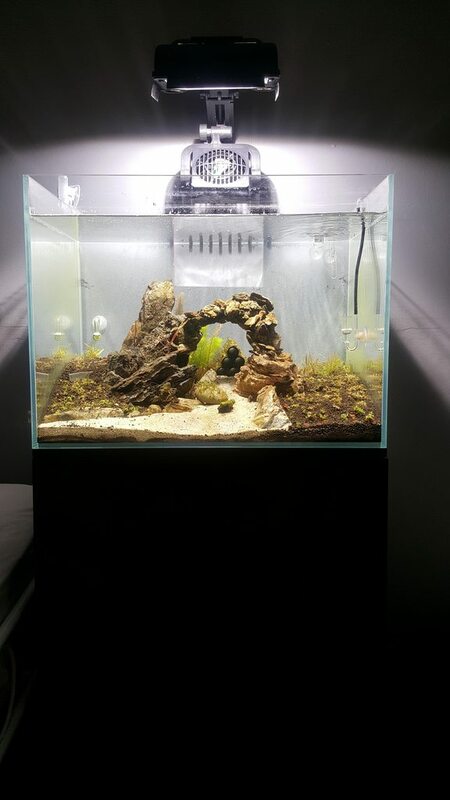 I then sealed the top of the tank with cling wrap, added two Up Aqua Z30 30cm (temporary) and began my dry start. Two weeks later, the Dwarf Baby Tears, Dwarf Hairgrass and Anubia nana Petite were doing well. However, the rest of my plants had melted. All I can say is..... I am waiting with my mouth open, for the next installment, and this installment hasn't even begun. Last edited by Rebel; 11-01-17 at 04:28 PM. The name Lord of Destruction and a brothers tank accidentally smashed, coincidence? I'm liking where this is heading, its looking good. I'm sure some bees and otos will be fine, and the oto's are likely not to go after the babies - due to their mouth location and diet. The threadfins may pick as a baby shrimp, but they will leave adults alone. 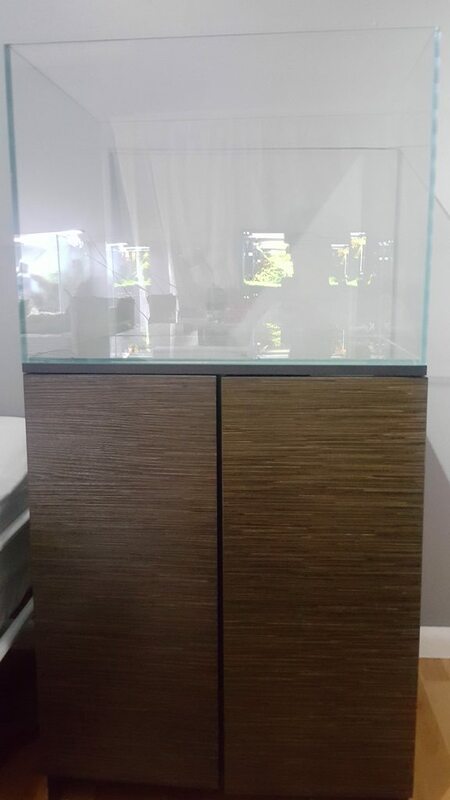 A stunning, 60cm x 45cm x 45cm Komoda clear view tank. The reason he was giving it away for free was that one of the corners had a small crack, though it did not leak. A smear of silicon for reassurance. I went on the hunt for a cabinet and settled with the Aqua One ROC as it was the cheapest option I could find. 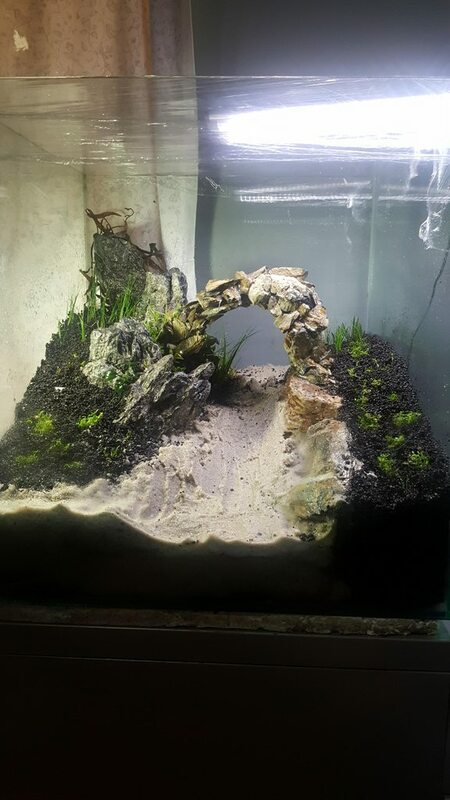 I was happy with how the rock bridge turned out in the previous tank, so I decided to go with the same idea with small adjustments to things that had bothered me. 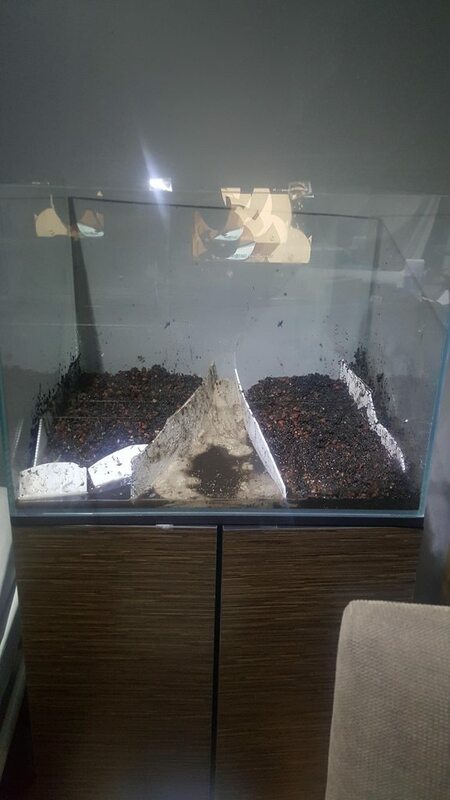 The substrate towards the front of the tank had to be banked lower, the sand river had to be thinner and I also desired the river to resemble an 'S'. There was a lot more space to work with this time so things weren't as cramped. I started planning it out by placing some Corflute dividers to keep the substrates from intertwining. 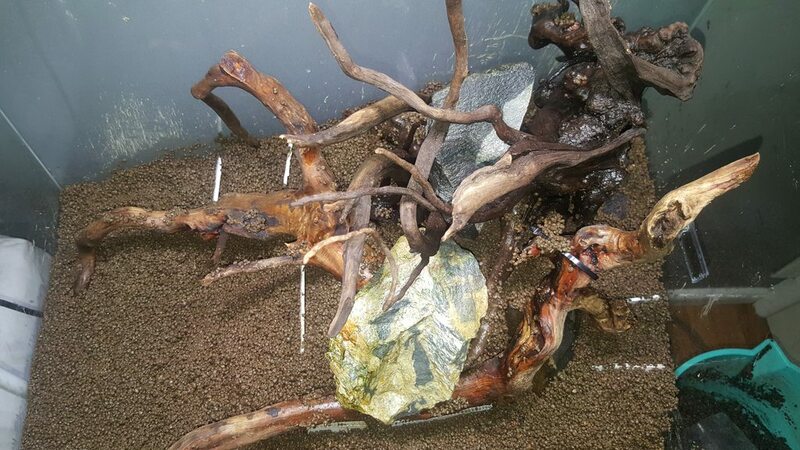 I recycled the substrate from the previous tank. These were then trimmed down and topped with shards of stone. 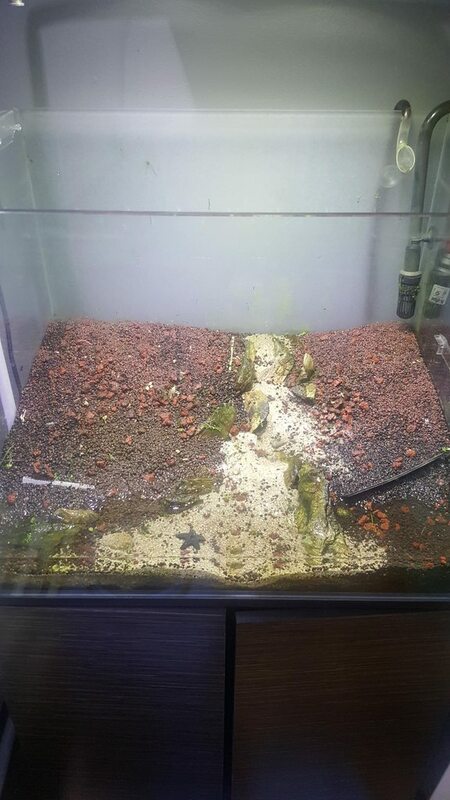 I also transferred the hard scape, insterted Corflute supports and topped up the substrates. 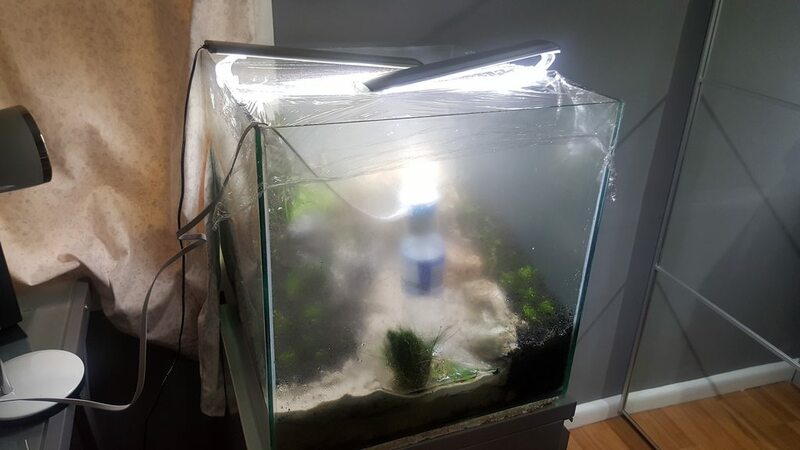 The surviving plants were added and the tank sealed with cling wrap. I also used silicon this time round instead of hot glue to piece the bridge back together. Two weeks into the dry start, I started having issues with white mould. It had started with few occasional puffs of fluff, I tried to combat it by spraying Excel. However the next morning it had infested the whole tank, engulfing all my plants. Desperate, I tried partially drying the tank too as suggested by Barr, but that wasn't effective either. 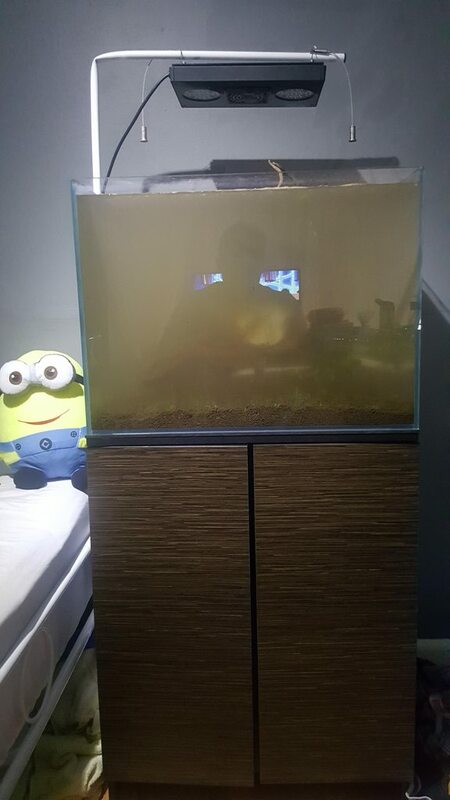 70% of my plants had melted in my losing battle against mould, so I decided to flood the tank. I hooked up the Eheim 2213, Cal Aqua Labs glass lilly pipes, Hydor Inline 200w heater and CO2PRO kit. Bumped up the CO2 as I had no livestock in the tank. I also applied a frosted tint film to the rear glass. My brother had found his old clip on light so I threw it on. It was much bigger than I expected, a 150w metal halide. It was too chunky and noisy for my liking so I went on the hunt for a new light. 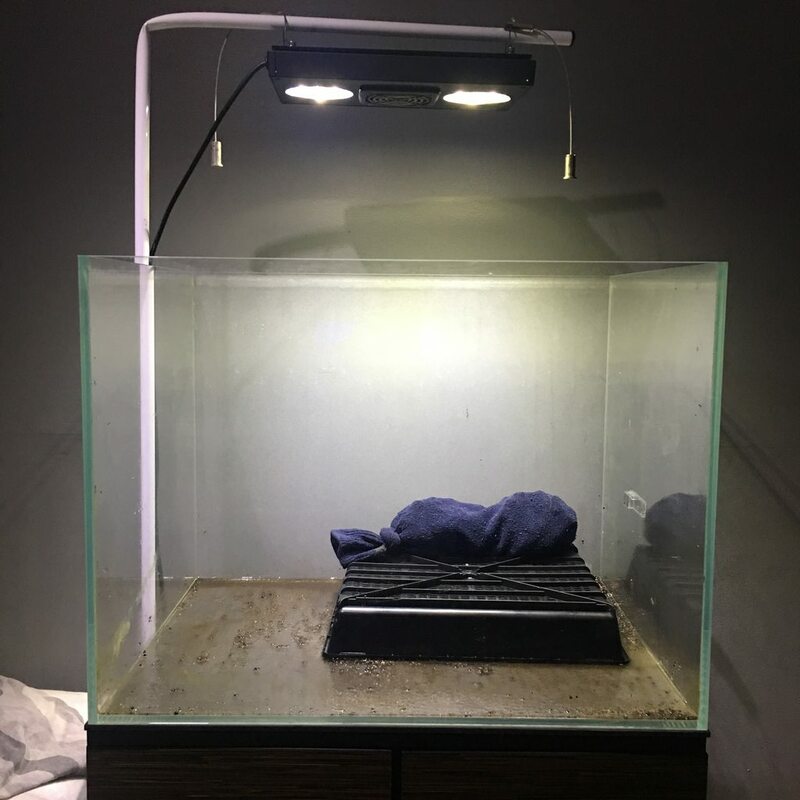 Also it wasn't adjustable so I started to get algae problems. A Siamese Algae Eater and two Bristlenose fry were added to help clean up. Last edited by Lord Of Destruction; 23-01-17 at 02:05 PM. 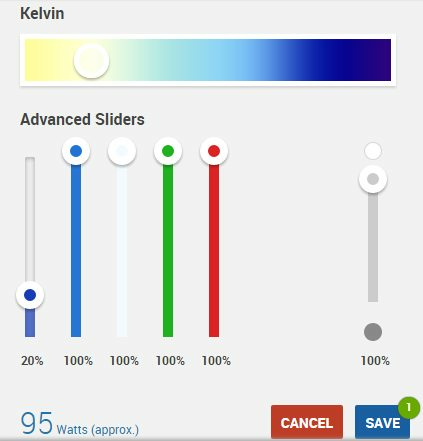 The new light looks the goods.. you'd need to turn down blues/ greens tho. 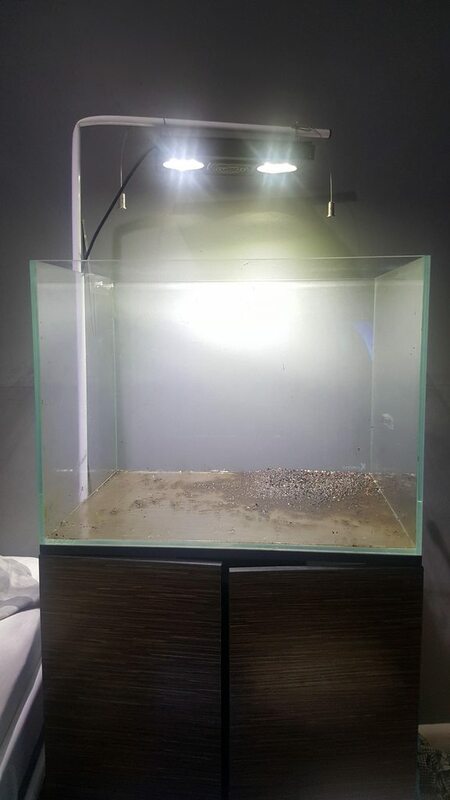 Looks like a 60x45x45 for the new tank? Yep, I copied the settings from a really nice freshwater tank I saw on facebook using the same light. The plants I have in the tank right now are temporary to help soak up nutrients. I'd like to head down the heavily planted route with heaps of stems. I really want to fill in the empty space on the left and the right, leaving only the sand river as negative space. 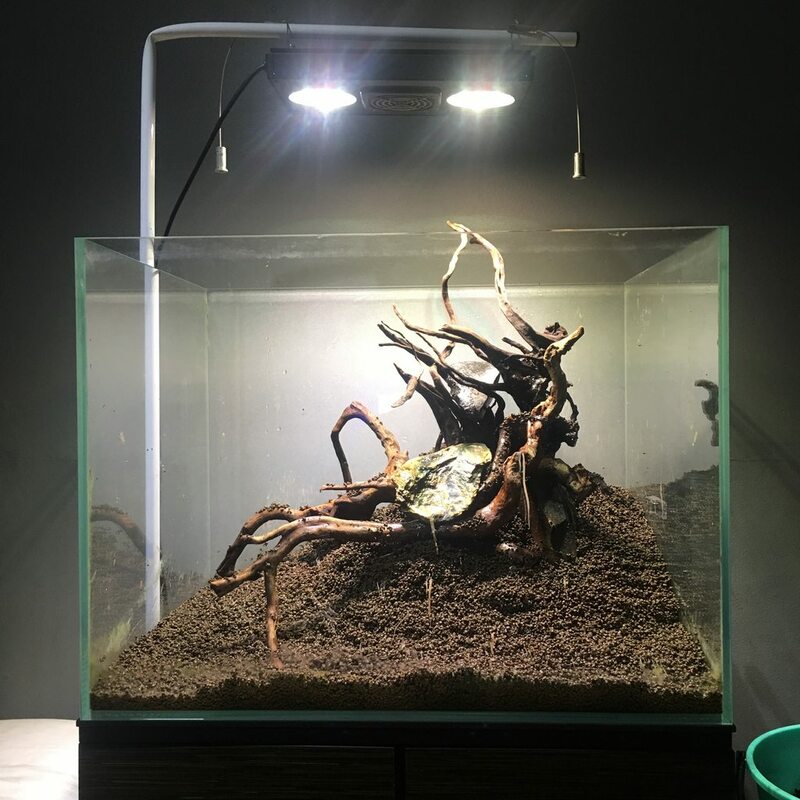 Opinions on how to do this with plants or even driftwood? 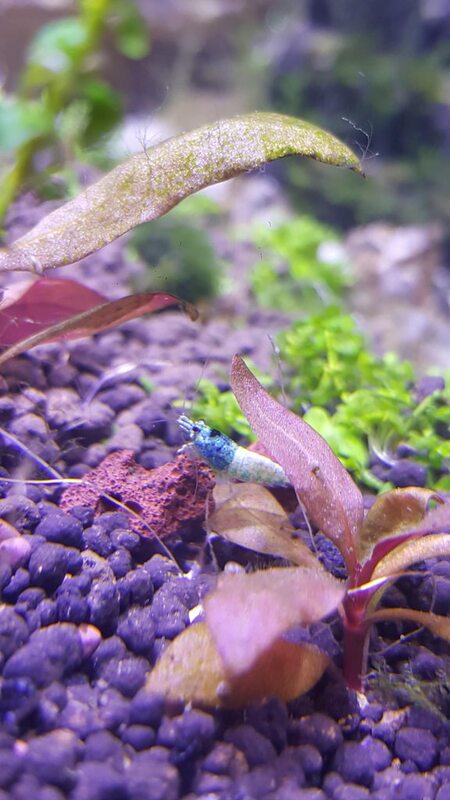 For the past few months, I have been adjusting the tank to suit blue bolt shrimps. The KH and GH of the water continued to rise so I started to remove the stones. I had also stopped dosing fertilisers and reduced CO2 which led to to an outburst of green hair algae. Clumps of the stuff grew everywhere. I had devoted 20 minutes per day to manually remove it with a tooth brush, but it continued to grow even with reducing the light to 40%. Even after all this my water parameters were still out of wack. The plants hated it. 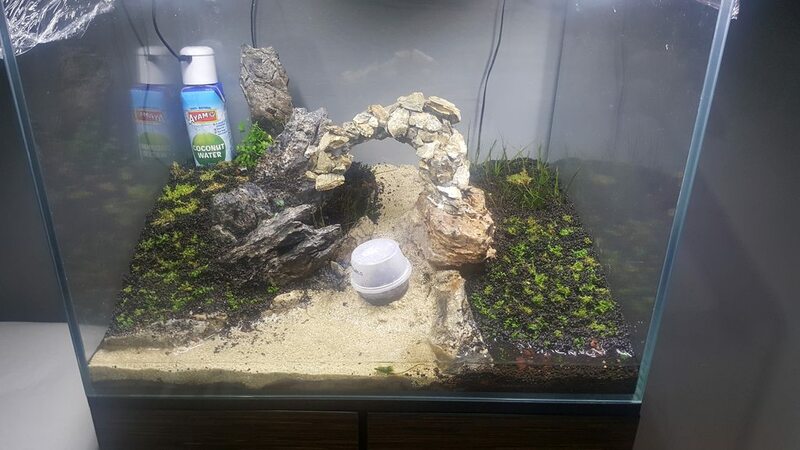 I had set up a separate Fluval Edge tank for the shrimp. 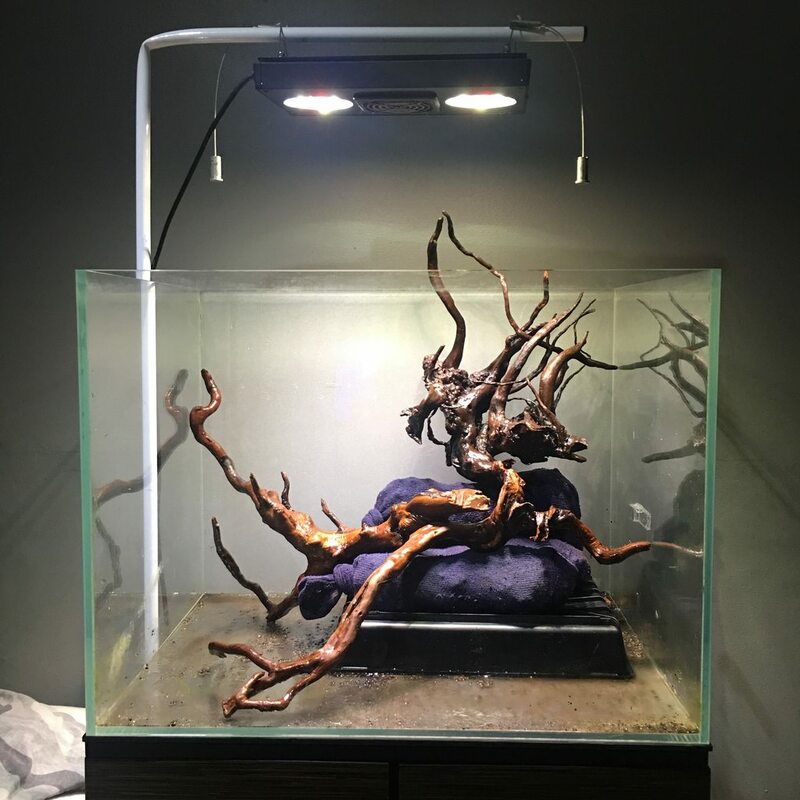 As it finished cycling I transported all the shrimp over, they seemed much happier. Finally I could focus on my planted tank again. 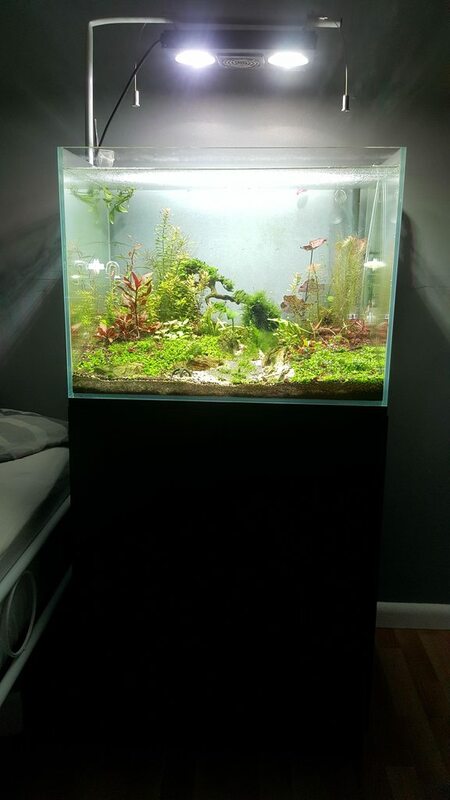 I increased the lights to 95W, bumped up CO2 and starting fertilising again. 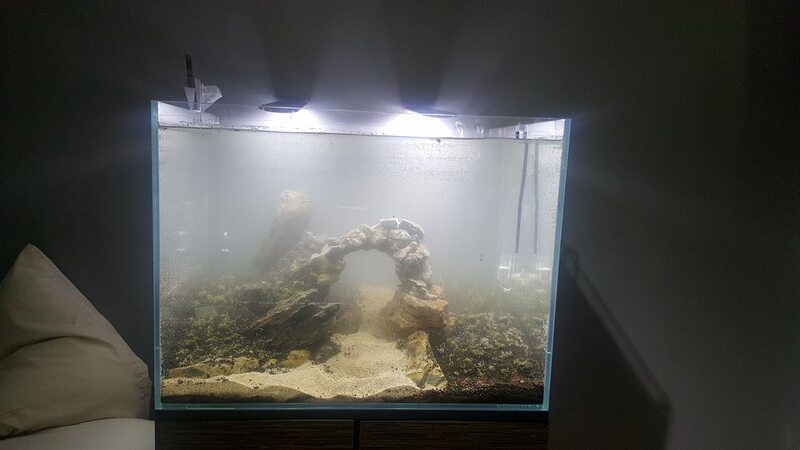 Did a 90% water change with tap water instead of rain water and within a day I started seeing results. 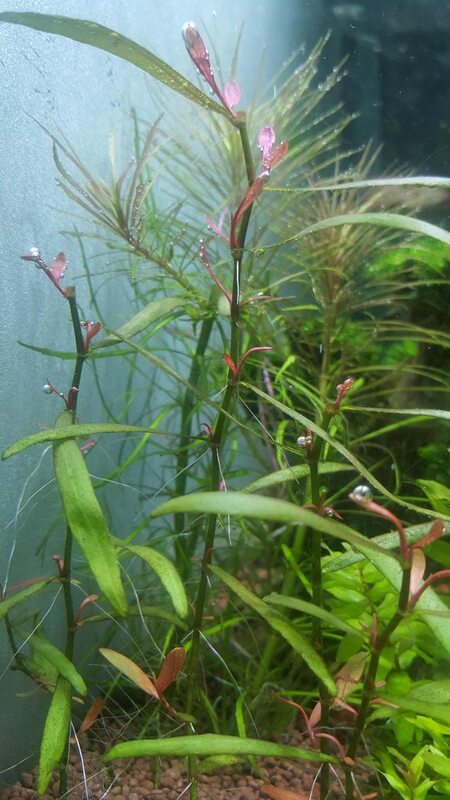 Here is a pic of Sau Paulo, (the green broad leaves from the shrimp parameters vs. the new red growth). 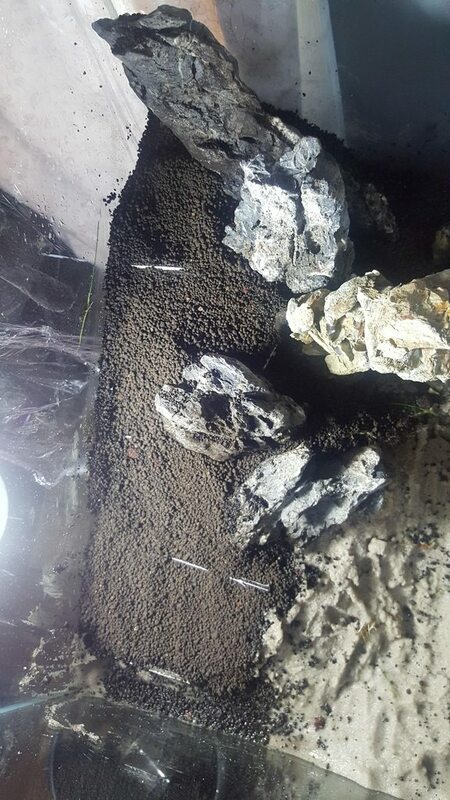 My scape however, was a mess. As I had removed much of the hardscape, the soil had collapsed into the sand and everything seemed chaotic. 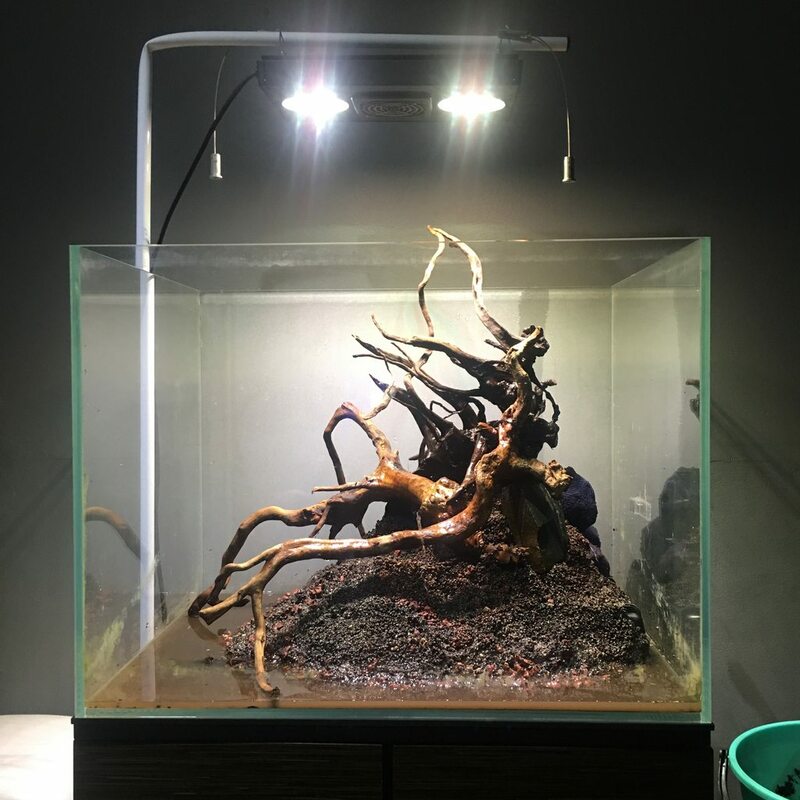 It was time for a new scape. There were a few things I wanted to address in the new scape. 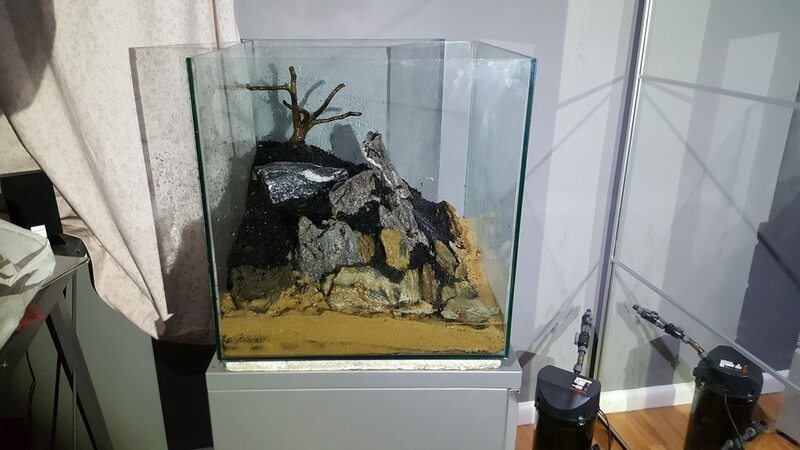 I didn't have a foam base underneath my tank, I wanted to work with wood instead of stones, different coloured substrates, I had too many different species of plants and also the top half of my aquarium was too empty. 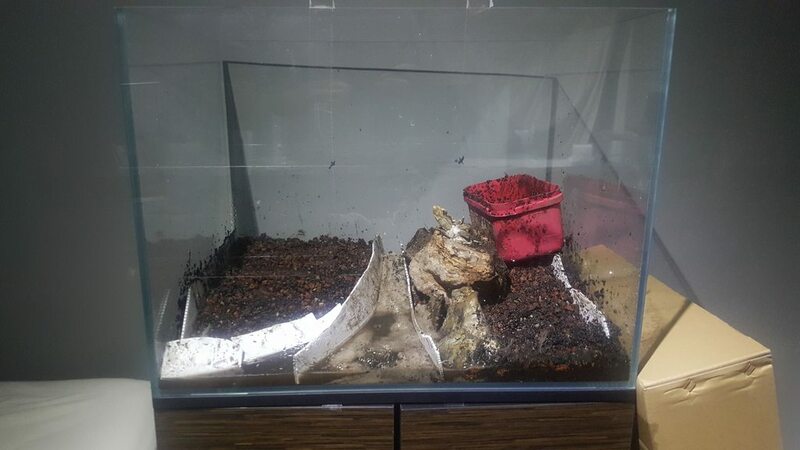 I started by removing all the plants, substrate and water. 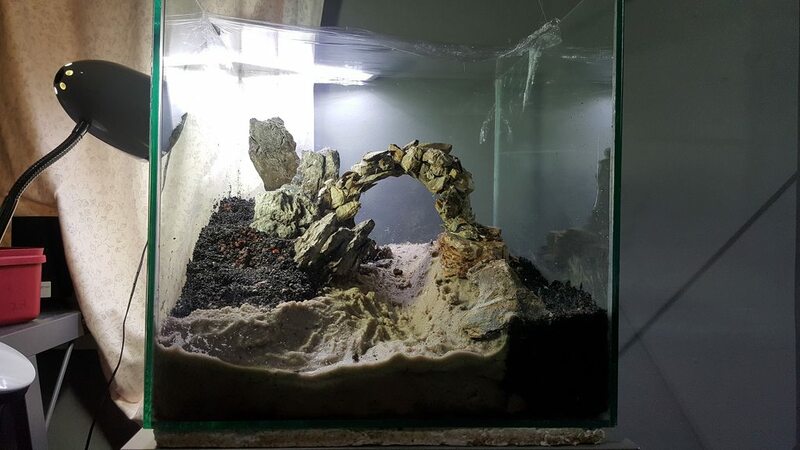 In my previous scape, the scoria had mingled with the soil over time. 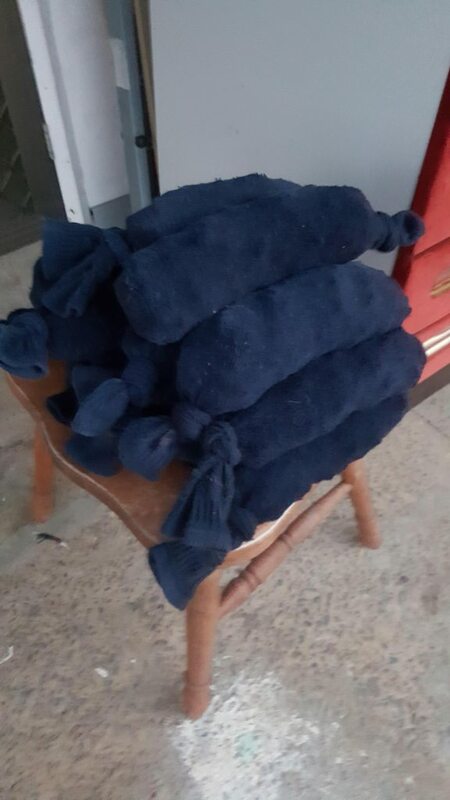 This time to prevent this, I purchased 20mm scoria and filled some old socks up with them. 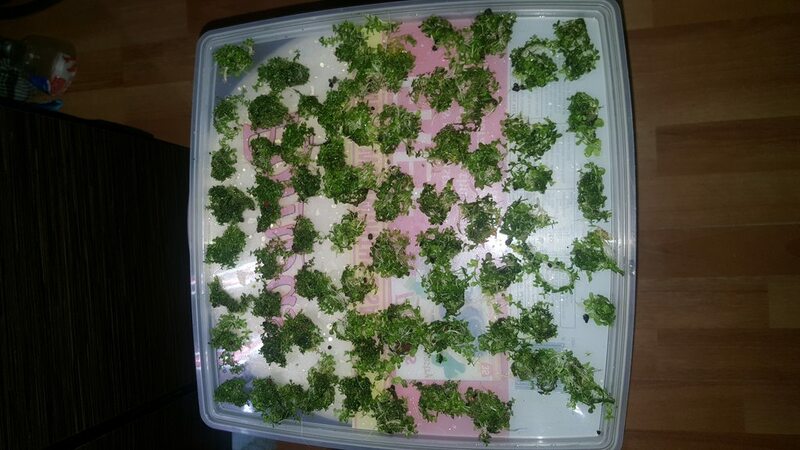 I also used this plastic crate I found to reduce the amount of substrate needed. I started playing with some hardscape designs. 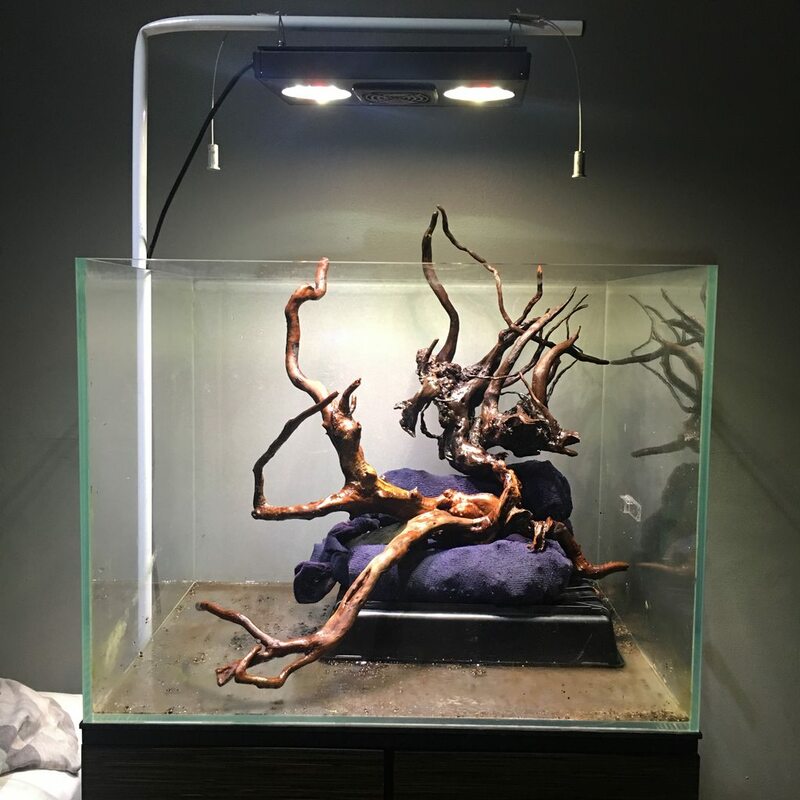 I wanted a triangular scape with some of the branches emerged out of the top of the aquarium. This would allow me to possibly play with emerged growth in the near future. I had three pieces of gold vine to play with, one purchased from Neon Tetra. I was indecisive between two designs but got the thumbs up (or three) from George. So I went with this one. 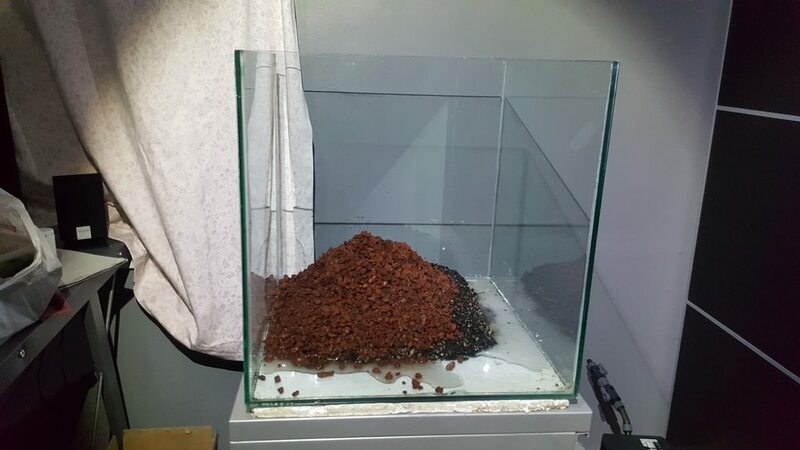 I started adding recycled substrate from the old tank and then topped it up with ADA Amazonia Light. I chose this as it was the cheapest option, $40 for 9L. 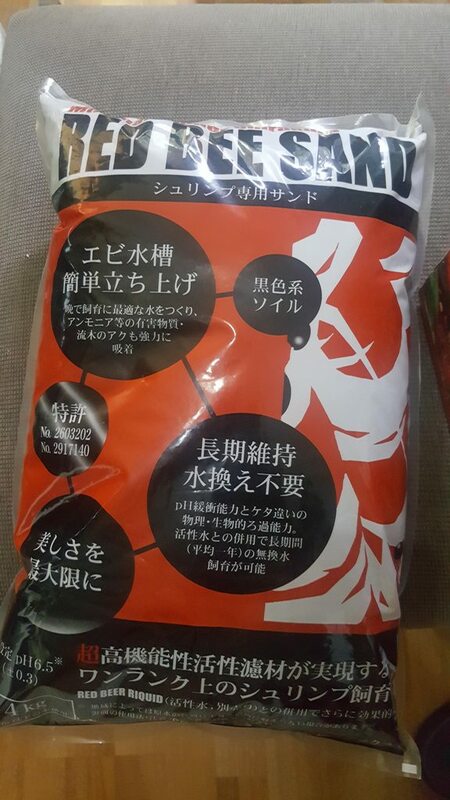 For some reason the soil inside the bag was damp, I didn’t have this problem with previous bags so it must’ve been how I stored it. 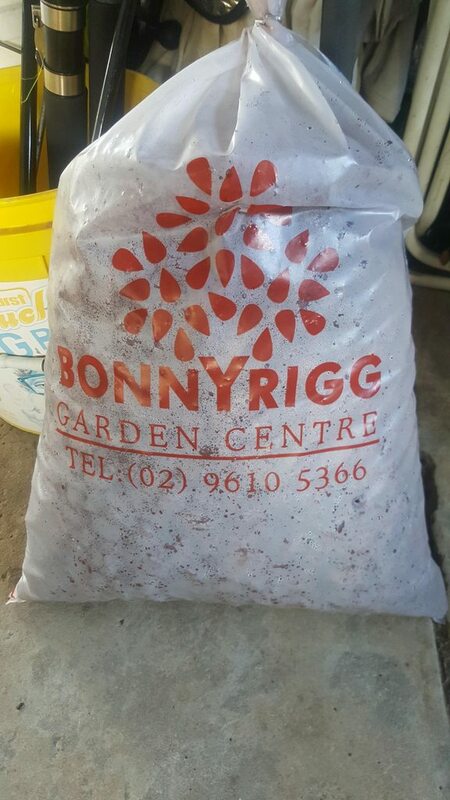 This scape only required a single bag. I added substrate dividers to prevent the mounds from collapsing. I also added some stones temporarily to anchor down the gold vine until it becomes waterlogged. I organised my plants to make the planting process breezy. Some of these stems are temporary until I figure out what I want to use. I’m thinking I need more rheophyte plants and some ferns to go between the vines. 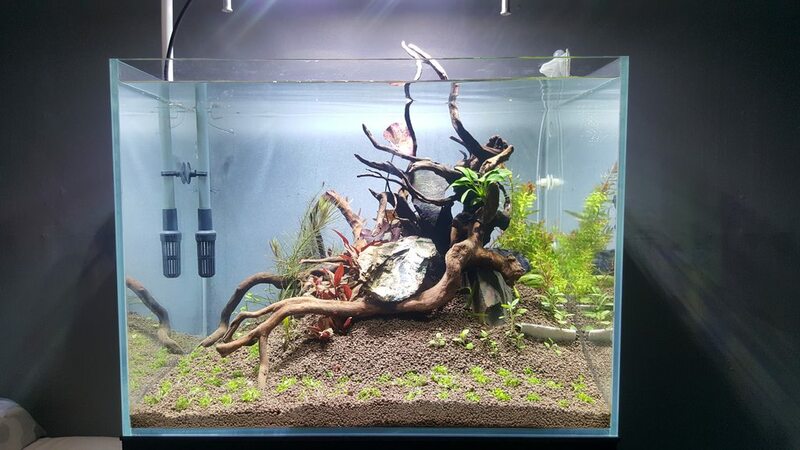 I also would like a plant that would grow its leaves out of the tank, may be bolbitis? On top of that I need plants to completely cover the mounds of soil. In need of suggestions. Also I used the Conduit DIY Light Mount for my light, I could not find the correct sized tool to bend the pole nicely so I just bent it using my hands. All that’s left is to paint it black. Costed me a total of $6. Here is the equipment used on the tank. 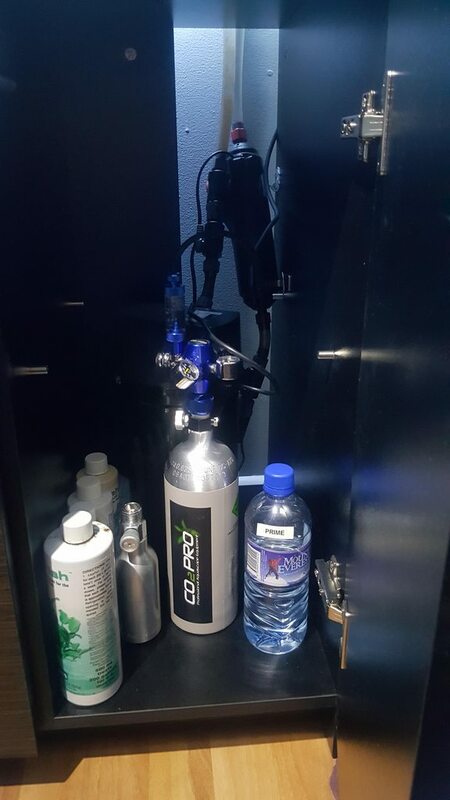 CO2PRO kit, Eheim 2224 professional, Ecotech Radion Xr30w G3 Pro, Calaqualab outflow, Hydor 300w inline heater. 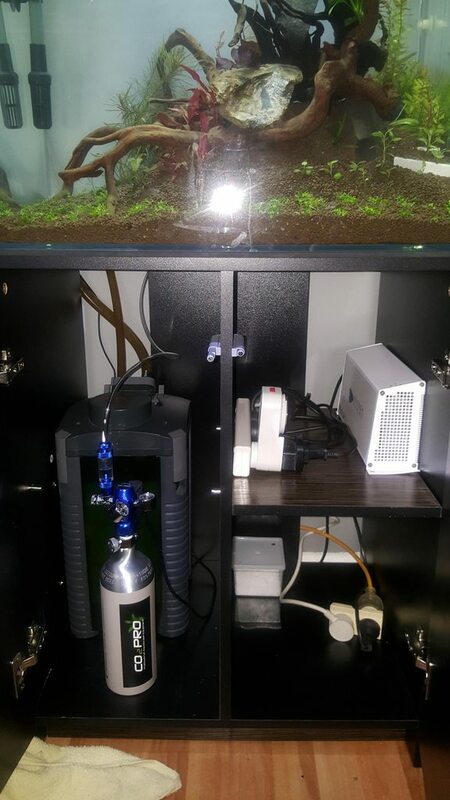 I have an Up-aqua inline CO2 diffuser but it won’t fit on my outflow tubing, any solutions? You do realise your only half a step away from MTS...? In any case looks like a good beginning, I like that you've had multiple strip backs. 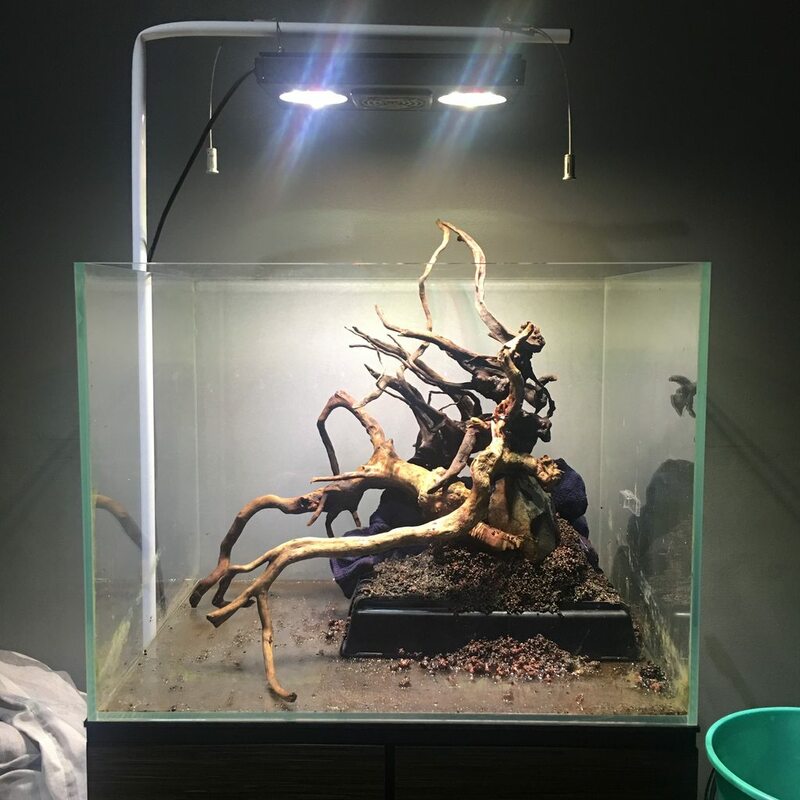 Although it's getting near time to let a tank mature! If it's good for George Farmer, it's good enough for me! Nice work dude. 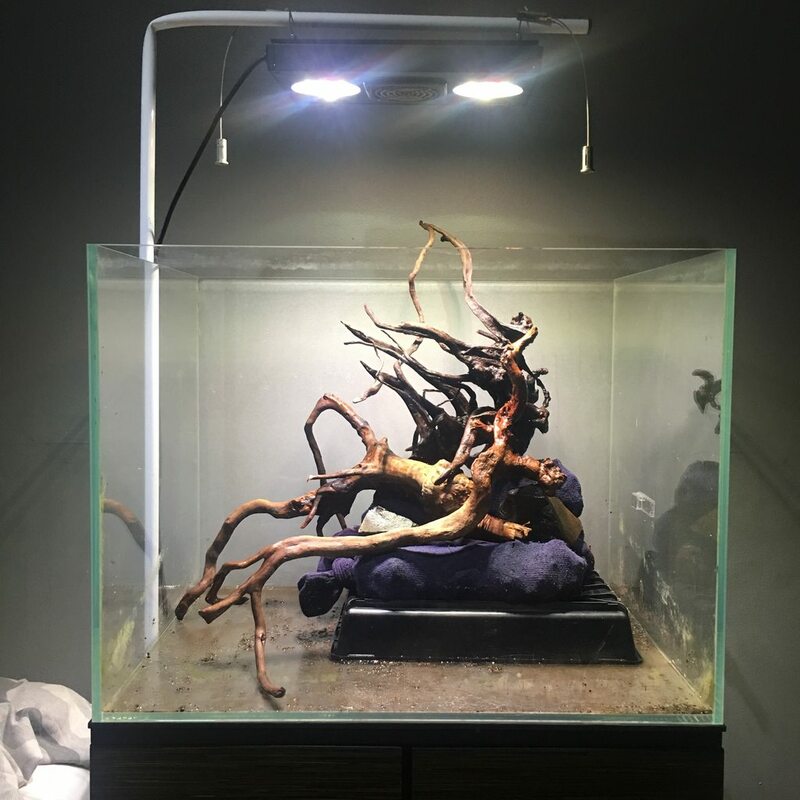 10 points for your light stand! haha very creative! Thanks Rebel! What kinda ferns do you reckon I should use?